Discover how our brand new enhancement will help you optimize your Learning library. Check out our latest product improvement: Categories. 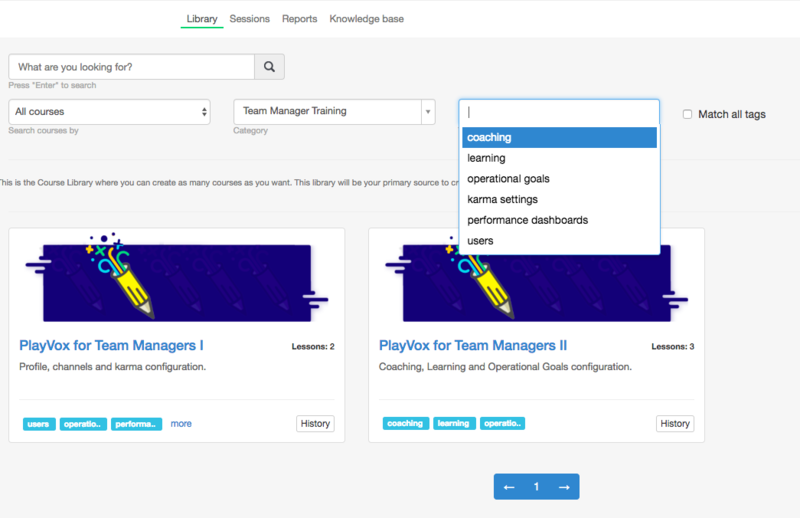 With the Categories feature you are able to better manage the Learning library. What do we mean by categories? These are new filter parameters that you'll be able to use when creating or editing a course. It will allow you to organize and optimize your library according to your specific needs. Organizing libraries: when handling different teams, you may organize your courses by service categories such as tech support, sales, email support, call support, products, etc. 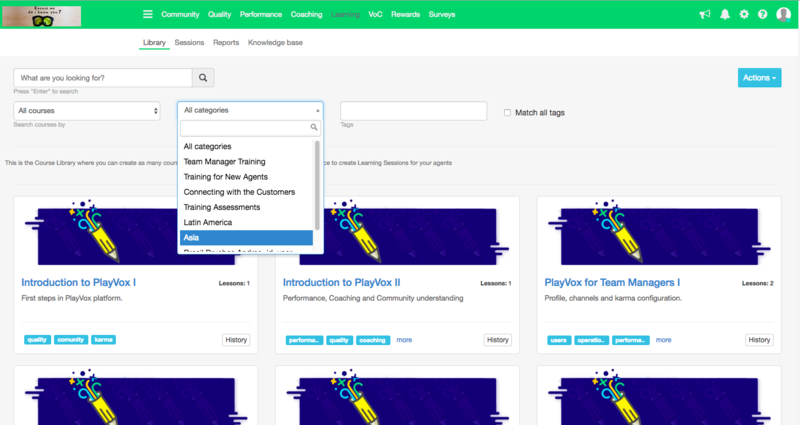 Handling various PlayVox products: if your platform not only has Quality and Learning, but also has Performance and Coaching, you may categorize your courses accordingly. For example: Performance Best Practices for Team Leaders, Coaching for Agents, Advanced Performance, New Agents' Coaching, and so much more, just as you need it. When managing a multi-site library: you can create specific categories targeting your needs, for instance, having courses categorized by countries, brands, companies or any distinct topic you might need. You can also assign tags to the created categories. This will let you go even further when organizing, giving hierarchy and developing an outstanding library. Watch a step by step explanation of how to use the categories. Go ahead and try this amazing enhancement! And remember, feel free to reach out to us in case you have any further questions or feedback.